Collecting all my favourite miniature perfumes is not as easy as one might think! Firstly, not all of them are very cheap, so it's a pretty expensive hobby. Secondly, shops selling them are limited here, so it's not every day I'll come across good miniature perfumes for my gallery. I have to depend on perfume shopping online, and of course, there are the special miniature sets that occasionally pop out during festive season, which reminds me - Christmas sale is around the corner. Oh, and there's the occasional trips abroad, which gives me the chance to widen my search. My last trip to Tokyo was fruitful, managed to get some really cool ones! 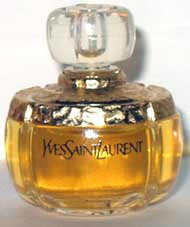 Champagne by YSL is another personal favourite. Initially launched as Champagne in 1994, it was later renamed Yvresse. 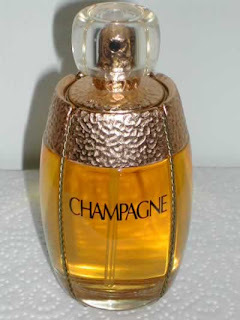 I've been searching for the Champagne miniature for a while now but then again, if the normal bottle itself is hard to find here, what more the miniature! An exquisite fragrance, designed for the alluring woman, one who sparkles and shines just like actual champagne. Classified as a refreshing fruity-floral fragrance it is recommended for day wear. Tantalizing and intensely feminine, I'd say that Champagne is also perfect for a night of sensuous fun, when you're in the mood for some adventure! Compatibles: Every star sign, especially when there's a full moon. I remembered my favourite perfume, Tuscany Per Donna by Aramis back in 1992. I enjoyed this perfume and had not been able to find it for awhile. I think it's back again. I'm sure gonna go search for it. Hey I remember Tuscany too, one of my friends love this perfume. For sure I'll let you know if I come across this scent! i like both designs of the bottles, unique la kan? but then again, semua botol pun unique. my mom collect our (me and my bro) perfume bottles, so dah banyak jugak koleksi dia.